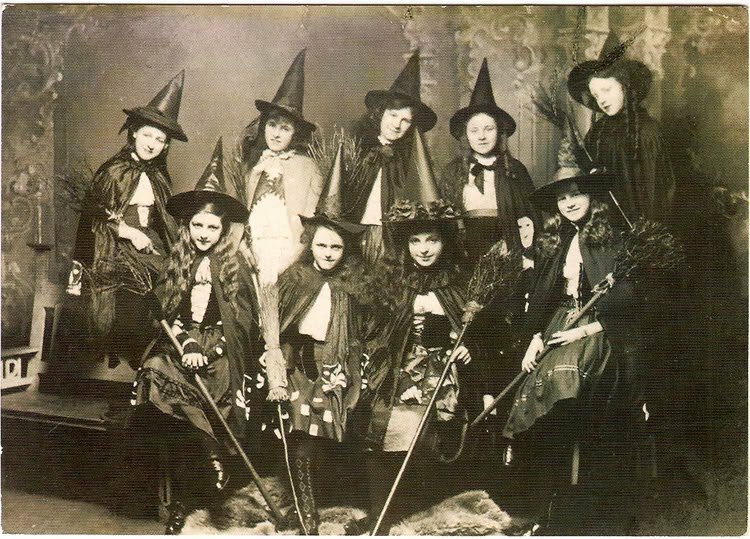 It's October: which means it's the season of the witch! What better time to brush up on your background in esoteric knowledge and all things mystic? 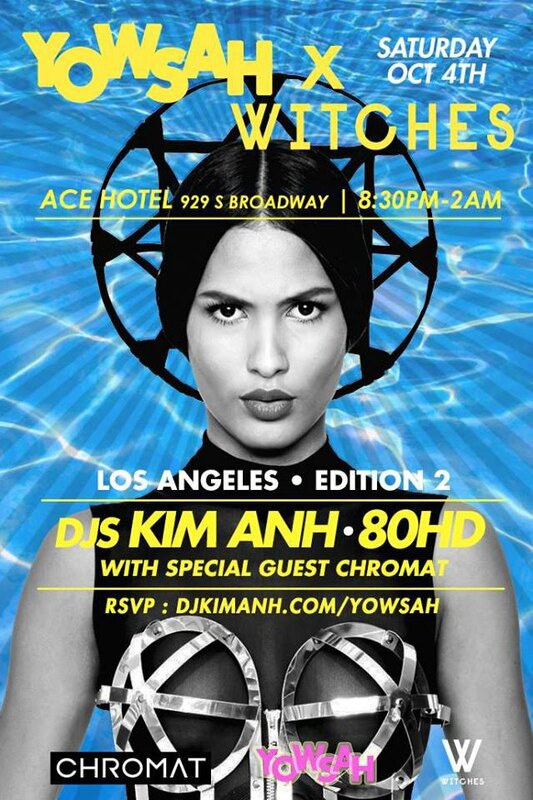 Here's our guide on all things witchy, happening right in your backyard. This bookstore is essentially the epicenter of mysticism in Bushwick. 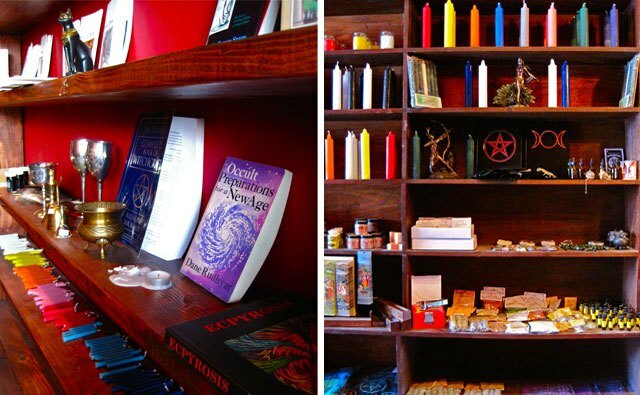 They carry books from the likes of Edred Thorsson, Robert Anton Wilson, as well as small-published esoteric texts. In addition, they have herbs, stones, candles, and parchment, all for spellwork. 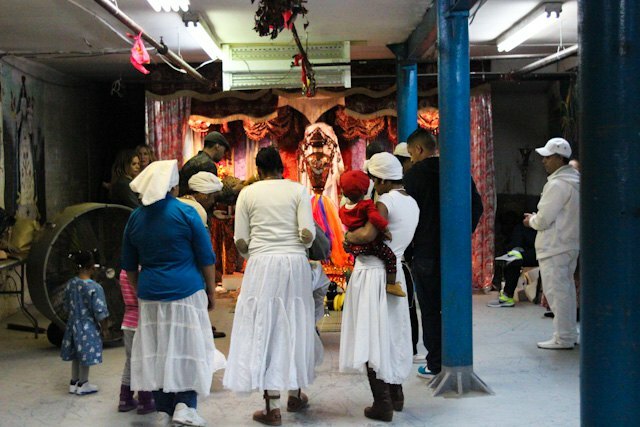 Their mission is to "serve the local community of Occultists, Yogis, Pagans, Mystics, Thelemites, Witches, Chaotes, and anyone interested in the enhancement of his or her spiritual self." #2 All Eyes on Egypt, 717 Bushwick Ave: Books about Egypt and aliens galore! All Eyes on Egypt is a bookstore on Bushwick Avenue that houses several of the many texts of Dwight York; a controversial figure from Bushwick who lead the Georgia-based Nuwaubian movement. Followers of his movement still run the store and discuss his writing on Free Masonry, aliens, and Egypt, as York is currently serving a 135-year prison sentence for molestation charges. There are many Bottanica's strung along Broadway in Bushwick. You can go to any of them! But our favorite is Botanica San Miguel. 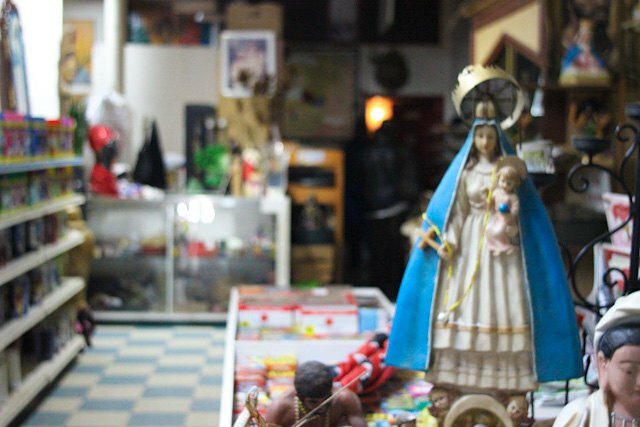 The man who runs the shop is very nice, and answers all of the questions you have about Santeria. He has very good intentions, which is basically the foundation of any form of witchcraft. This event space is used for Yoga, music, screenings and more that "promote healthy and conscious living choices, to provide education and guidance, and to create, nurture, and maintain a community of individuals committed to mindful living, creative exploration, and spiritual growth." This community church is in a basement below a Botanica. They're a very friendly group who welcome all people to their Sunday service. Expect chanting. 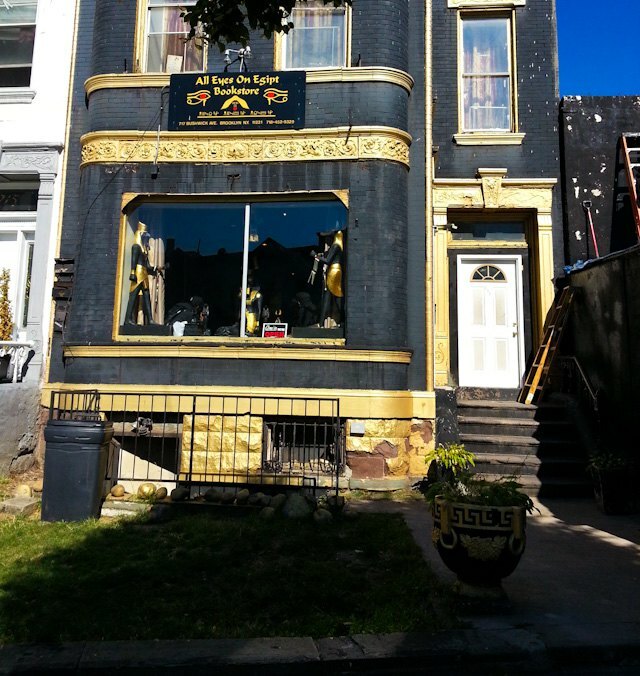 This Chinese restaurant rests on a haunted block that's the home of a mysterious skull that was found, a buried cemetery, a tragic suicide, and a woman who went missing in 1877. Enjoy some spookyness with your Lo Mein. 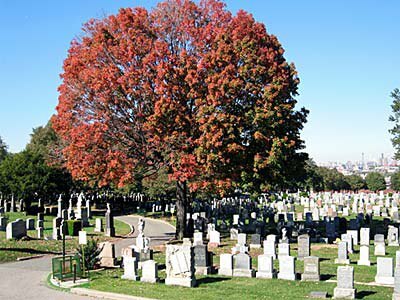 Earlier in the month Bushwick Daily wrote a comprehensive guide to the amazing cemeteries that surround Bushwick. Be sure to check out the history and beautiful grounds of Cypress Hills, The Evergreens Cemetery, and Trinity Cemetery. You can visit the graves of Jackie Robinson and Mae West. 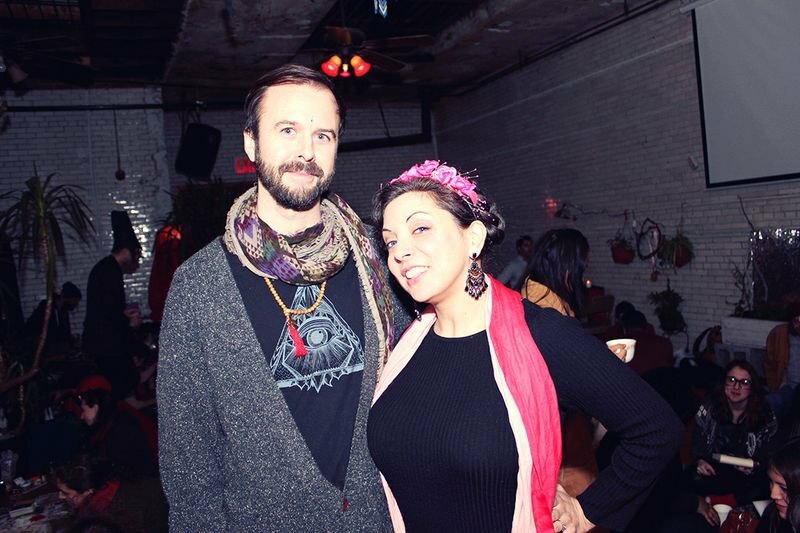 Darcey Leonard and Kevin Pelrine are the couple behind this extraordinary company "House of Screwball" that hosts events, lectures, and parties of esoteric nature. They're reponsible for The Tarot Society, Circus of Dreams, and are holding an event on October 25th titled "Season of the Witch: How the Occult Saved Rock and Roll." Be sure to also check out their afterparty! Walk by Grattan Street between Bogart and Porter on any night, and you're likely to see a gang of black cats lurking about. 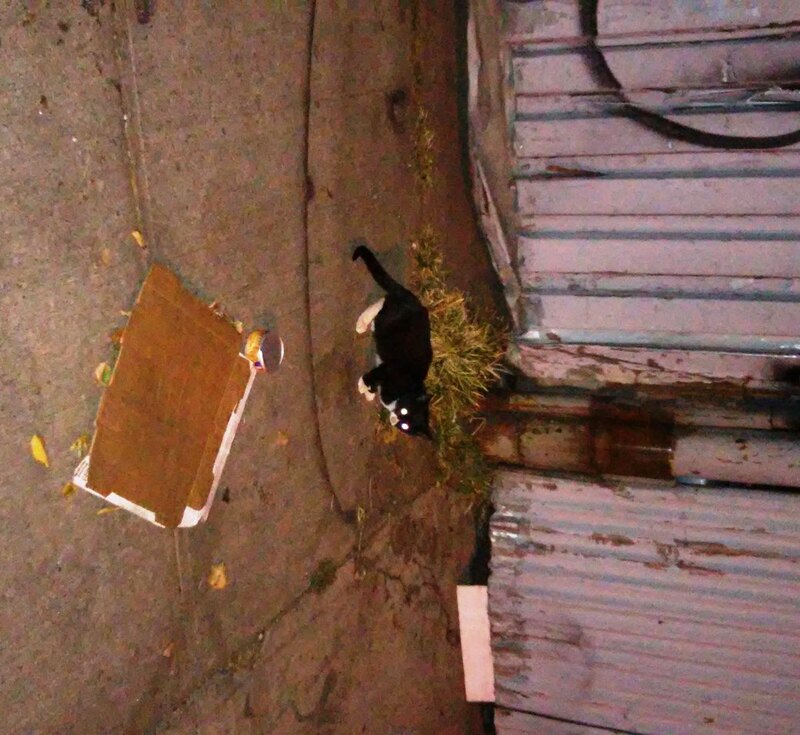 Their lineage runs deep, as this coven of kitties has been spotted on Grattan for years now. Be sure to be friendly on a full moon. You wouldn't like any bad luck in your future! 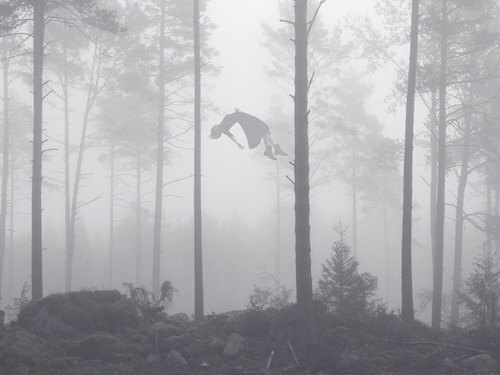 Witchoria isn't quite a witch, but a graphic designer whose levitating images became viral on the web. She resides in Bushwick and often uses images from the streets here in her work. Enjoy her work on her Instagram. 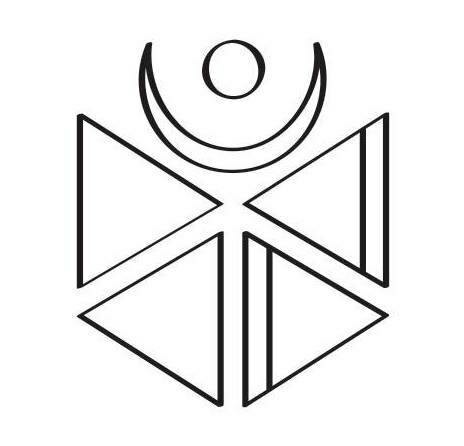 Their "About" Section on their website says it all: "Moon Church is a community of socially and ecologically engaged feminists, connected in pagan collectivity by study, common vision,and a do it yourself approach to the craft." 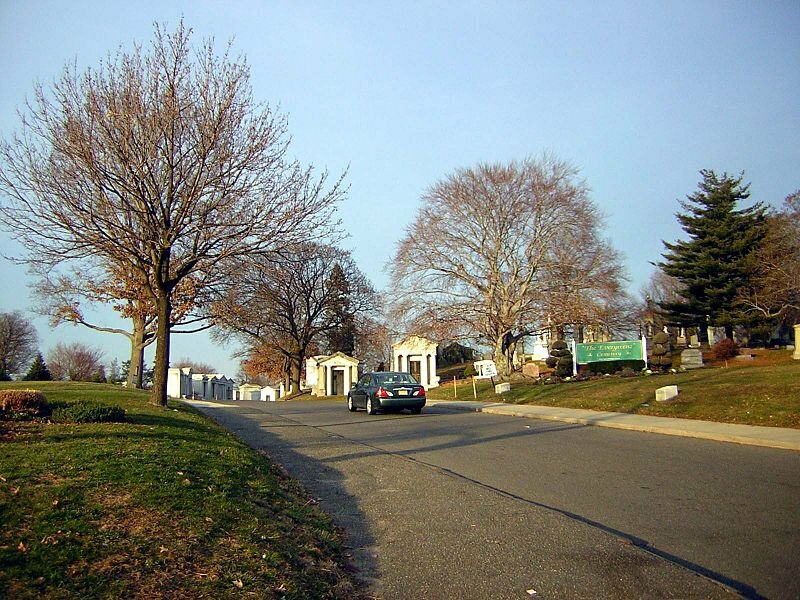 #5 The Ghosts of Evergreen Cemetery: Like the "Woman in white who weeps"
A woman in white who weeps sounds like a nursery rhyme, but it's actually not. It's the description of one of the many ghosts at Evergreen Cemetery. Other friendly-ghouls include the Cemetery's first Super, who's fond of the ladies and the protective spirit of a child who died of pneumonia. 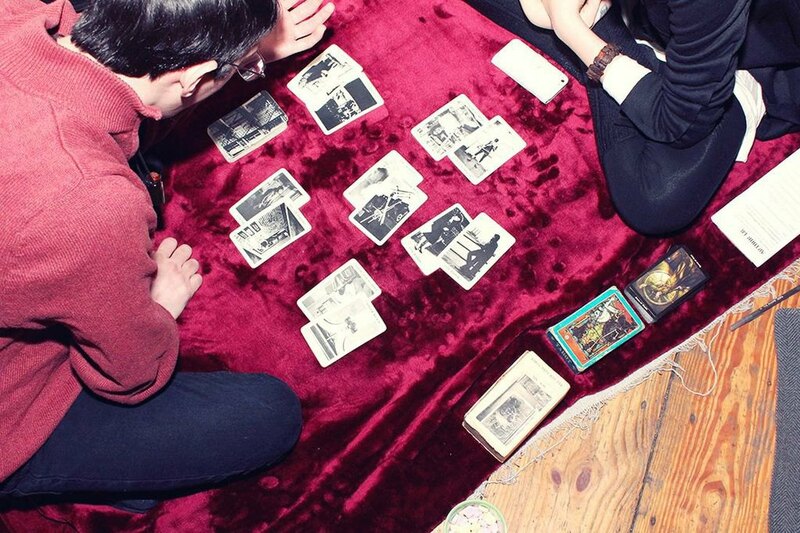 #1 Tarot Society: Every other Sunday, Catland: Get your fortunate fortune told! 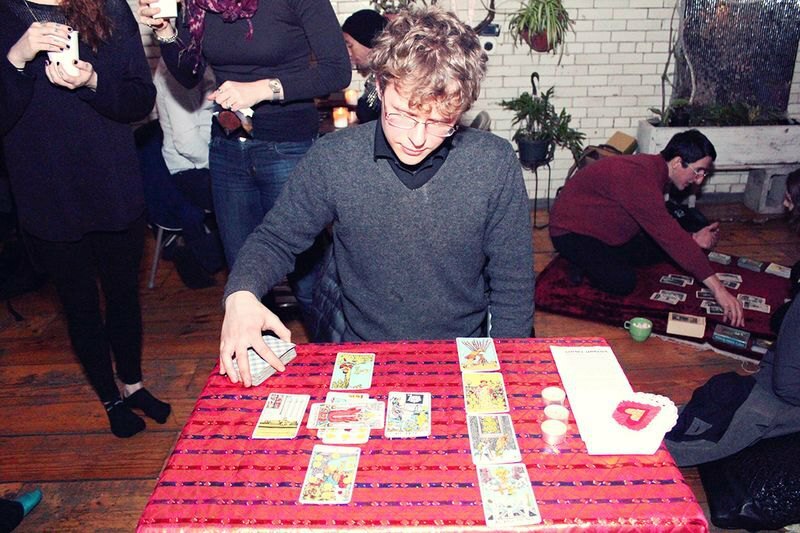 This bi-weekly event at Catland is run by House of Screwball and includes an array of expert Tarot readers—bazaar style. Entry is $5-$15 sliding scale, and the cost of getting a reading is a donation of $10+. This is a really great price considering you'll know your future. Kevin and Darcey are always there, and will link you up with the psychic right for you if it's your first time. 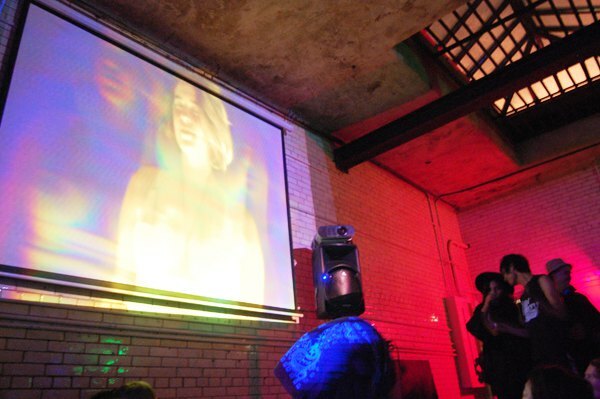 This creative agency hosts events in Bushwick and beyond that promote all the weirdness. Events they hold include zine launches, tarot readings at brunch and performances by groups such as Culttastic. #3 Stuart Südekum's Tarot Class: Become a Tarot master yourself! Okay--hear me out on this one. Stuart Südekum is a highly respected expert and scholar in Tarot. He holds a private, 19-course class on learning everything you need about Tarot cards. It's a pass/ fail course and at the end of it, if you pass he provides you with a letter of recommendation so you can do readings at events. It's $600, but if you think about it: that's less than $36 per class. Each class is 2 hours long, and you're given reading to do on your own. (It's actually a college level course). NOT a bad investment if you think about it: if you give 30 readings for only $20 each, you've already made your money back. If you're interested in becoming a serious expert in Tarot, email him to sign up or find out more at stuartsudekum[AT]gmail.com.